Breaking old habits is not very easy. If it were, when it comes to reaching fitness goals everyone would be in shape. The saying goes that practicing a particular activity for 21 days becomes a habit. This may be why so many people never reach their fitness goals. That and the lack of truthful knowledge about working out. Procrastination is never a good characteristic to have. Don't just simply talk about it, be about it. 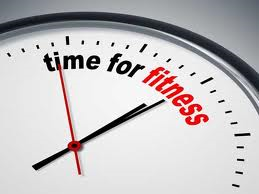 Challenge yourself to set a realistic time to workout and realistic fitness goals. Don't expect too much from yourself and don't just jump in head first. Remember slow and steady win the race, so in the end breaking up from those old habits won't be so easy to do.